The Torc Waterfall is approximately 20 meters high and nestled at the base of Torc Mountain. With the best time to view the waterfall after a heavy rain downpour when it is most wild. 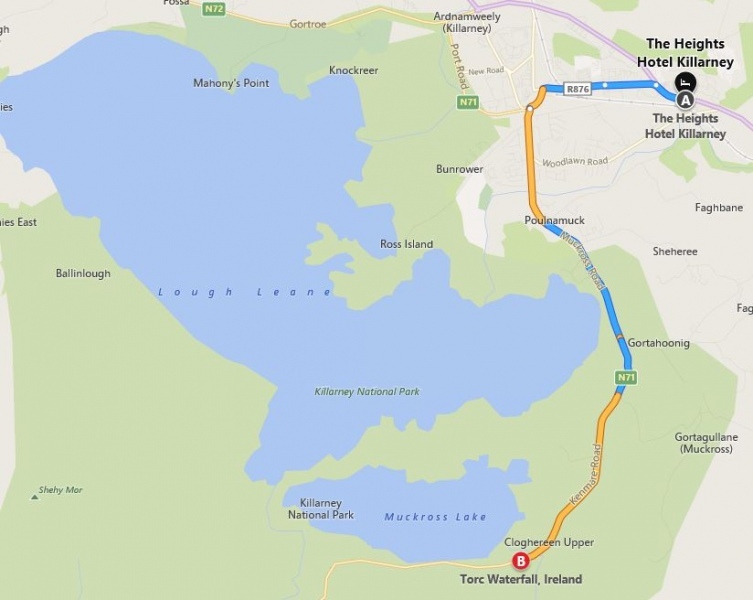 There is a separate viewing point of Muckross Lake & Killarney National Park if you climb the 100 steps to the left of the waterfall, this walking path is also part of the Kerry Way Walking Route.